You are currently browsing the tag archive for the ‘birthday party’ tag. 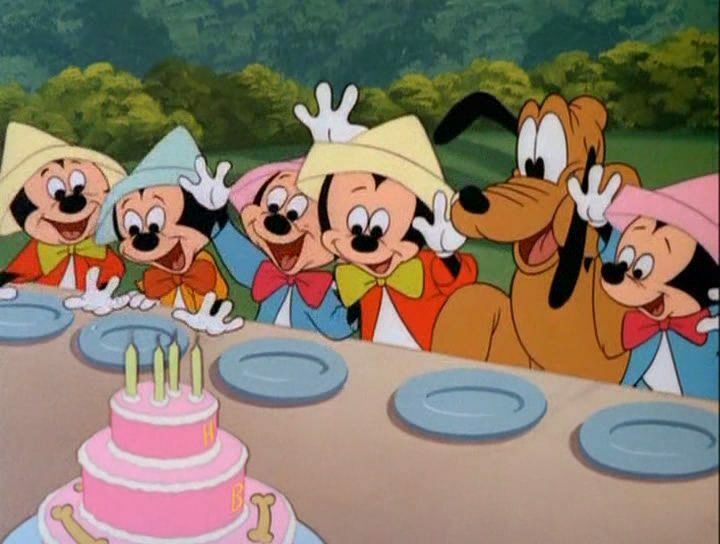 Mickey and Pluto celebrate Pluto’s birthday, which includes a huge pink birthday cake and the presence of several little mice. In fact, this cartoon marks the unexpected return of the orphan mice, which we hadn’t seen on the screen since ‘Mickey’s Circus‘ from 1936. The little mice give Pluto a hard time and they eat all the cake. Luckily Mickey has saved a piece for our canine friend. ‘Pluto’s Party’ is the only Disney film directed by Pluto story man Milt Schaffer. Unfortunately it’s not a success. 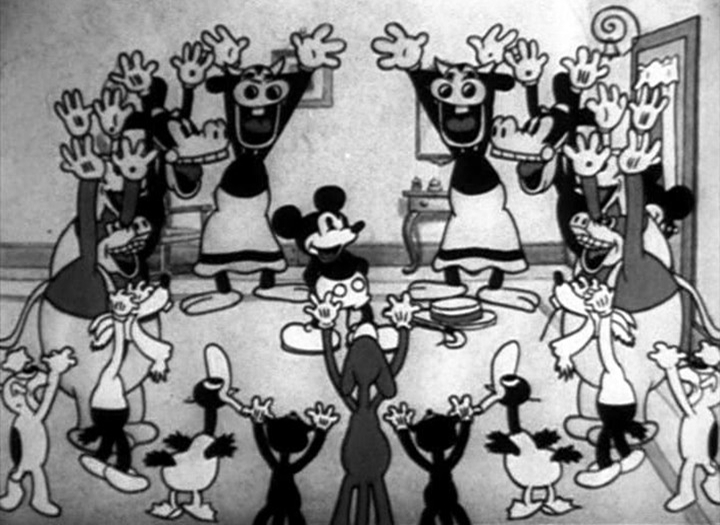 Mickey’s design is rather angular in this cartoon and the antics by the orphan mice are quite tiresome, not funny. In spite of the bright colors and the fast cutting, the overall mood is timid and listless. Only two Mickey Mouse cartoons would follow, and you can almost feel the series ending in this cartoon.